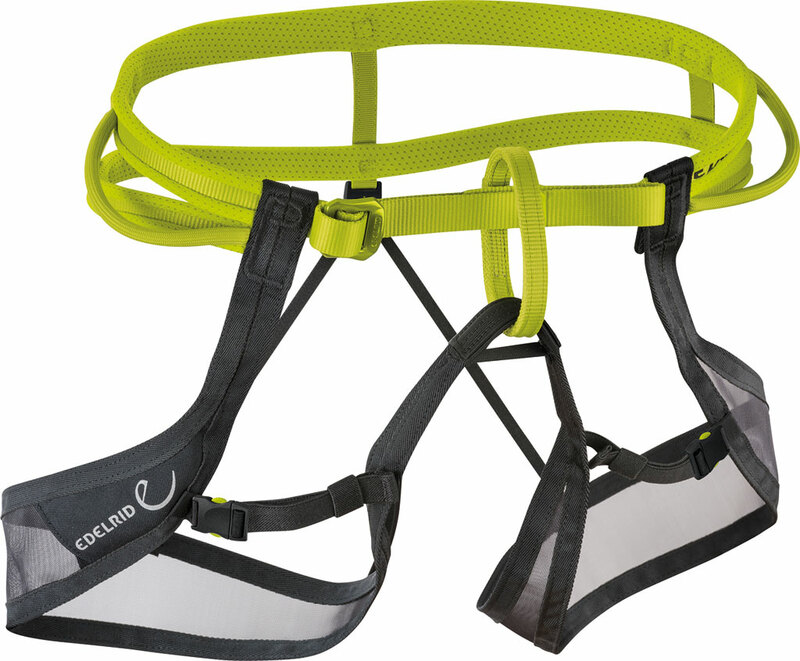 The Edelrid Huascaran is a minimalist harness that doesn’t skimp on security. It has a beefy belay loop and a padded webbing waist that provides just enough comfort for long, light-n-fast missions. The harness is ultralight and packable, yet has decent gear loops and adjustment buckles. The leg loops have side buckles so you can put it on and take if off without removing your skis or crampons. They are made with a breathable mesh so you won’t overheat in spring. The Huascaran is a great harness for glacier travel and technical alpine ascents and descents. First harness to be Bluesign® approved, meaning it’s friendly to the environment. Dual component waistband with soft edging is comfortable and breathable. Drop seat buckle in the rear lets you quickly drop processed food. Has multiple, flexible gear loops and ice screw clip attachment points. Mesh leg loops can be unbuckled for easy donning and removal. Welded webbing ends (ultrasonically) for each buckle threading. Weighs just 251 grams (8.9 ounces) [M] and packs down very small.